Army Staff Sgt. Ty Carter was awarded the Medal of Honor for his actions during the 2009 battle at COP Keating in Afghanistan, the same battle described by fellow MoH recipient Clinton Romesha in his best-selling book Red Platoon. 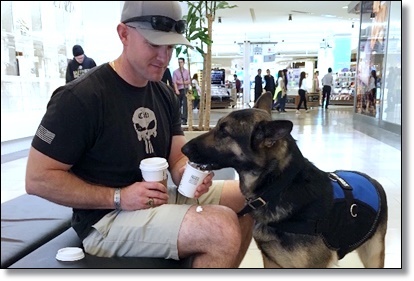 Nala is Carter’s service dog and she’s essential to his efforts to deal with post-traumatic stress. 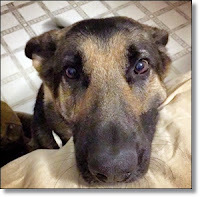 The veterinarians tell Ty that Nala has a herniated disc that’s almost severing her spinal cord. If she doesn’t have surgery, she’ll lose her ability to walk. The government doesn’t recognize service dogs as a treatment for PTSD, or at least not a form that it’s willing to pay for. There’s a GoFundMe page to help pay for Nala’s surgery. That’s sure to be covered soon. Any of our readers with the influence to get service dogs covered by the government should get on that right away as well.